Important work elucidating the principles of the Ten Commandments with regard to all the commandments in the Torah. 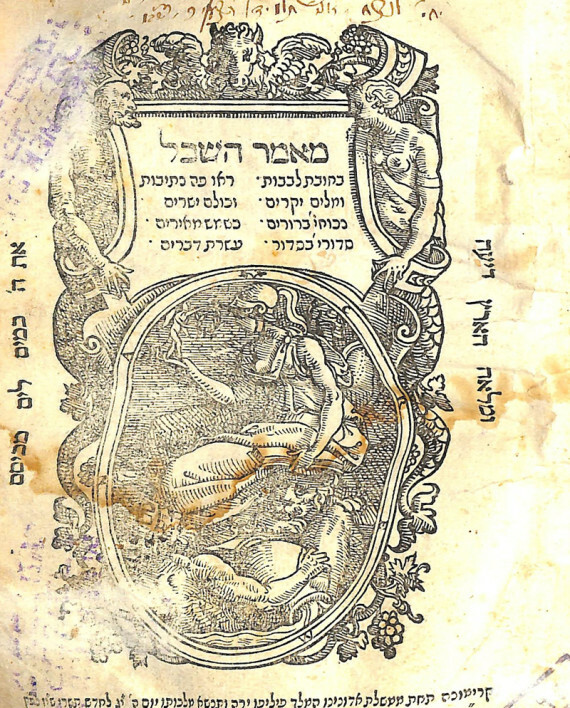 Although published anonymously, R. Wolf Heidenheim in the introduction to his edition of this work (Rodelheim 1804), goes to great lengths to prove that the author was in fact Rabbi Eliezer Ben Nathan of Mainz. 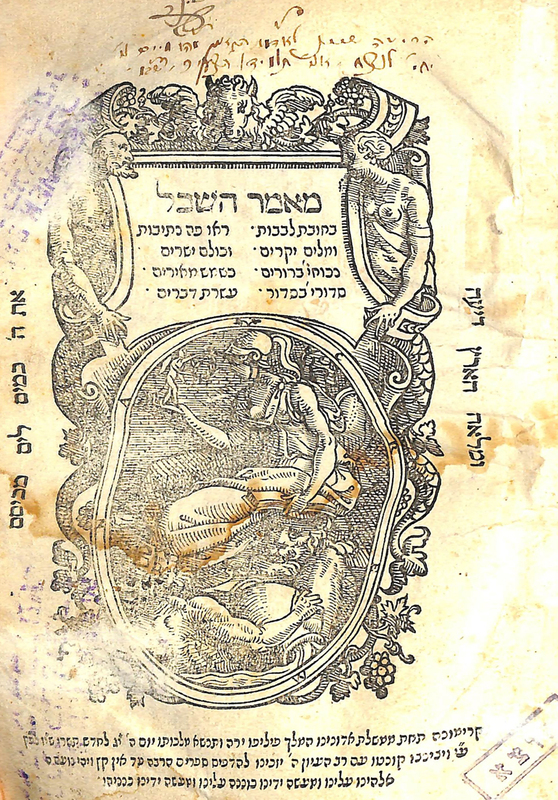 One of the great Rishonim commonly known as the RABa’N or by his work Even Ha’Ezer and grandfather of Rabbeinu Asher (Rosh). Vinograd Cremona 9. Vicenzo Conti press. 2, 5-54 pages. 18 cm. Final page facsimile. Modern binding with leather spine. Fair condition, some stains and minor worming. Some damage to title page. Previous owner’s signatures.